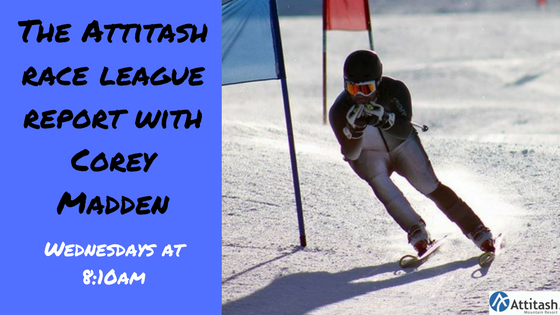 This morning for our Attitash Race League Report, Local Ski Expert and Attitash Race League Director Corey Madden stopped by and told us all about Race Week #4. Corey talked about the beautiful day they had for Week #4! He also gave us a heads up on all the great things happening over at Attitash and Wildcat for this weekend!